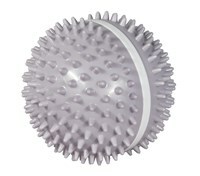 Vivitar Body Percussion Massager promotes blood circulation and relieves swelling and pressure. Cordless massager features high-quality massage for aches, pains and muscle recovery. Lightweight and easy reach design. Requires 4 AA batteries (not included). Includes back therapy percussion massager, user manual and 1-year warranty card. Measures 13 1/2 inches long. Always consult with a doctor before using this product, if you are pregnant or suffer from any health conditions.